For the people to have their say on Brexit, how best can the multi-option conundrum be resolved? If the problem is multi-optional, the question should be multi-optional, and the ballot paper should be a (short) list, usually of about 4 – 6 options. 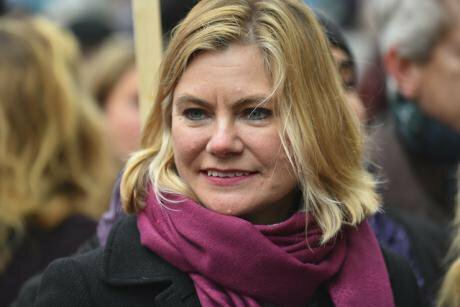 Conservative MP Justine Greening who backs a 'series of plurality votes' to give the British people the final say on Brexit. NurPhoto/press Associatiion. All rights reserved. Whenever a problem is complex, binary ballots are not the best. Politicians, however, often reduce everything to either an “option ‘x’ or ‘y’?” choice or an “option ‘x’, yes or no?” question – as in “the eu withdrawal or ‘no deal’?” – because if ‘x’ is what they want, such a stark dichotomy increases the chances of their success. The outcome of such a vote, however, is often unclear: do people really want ‘x’, or do they just dislike ‘y’? And would they have preferred ‘z’? Take, for example, the 2011 referendum on the electoral system. The vote (‘x’ or ‘y’?) was first-past-the-post, fptp, or the alternative vote, av? But lots of people wanted (‘z’), pr, proportional representation. If the question had been different, as it was in New Zealand… see below. Take Kosova. In 1991, (‘x’, yes or no? ), 99 per cent voted for independence. If the question had offered (‘y’, yes or no? ), ‘unity with Albania?’ or (‘z’, yes or no? ), ‘a Greater Albania?’ the outcome would again almost certainly have been in favour. Consider the 1973 Northern Ireland (‘x’, yes or no?) border poll. The Protestants voted, the Catholics did not, and the ‘democratic’ decision was again 99 per cent in favour. It resolved nothing. Iran. In 1953, they voted for socialism, 99%, (‘x’). Ten years later, 99% wanted capitalism, (‘y’). And in 1979, they wanted neither but an Islamic Republic instead, (‘z’), yet another 99%. Well, the Shi’a wanted one: the Sunni Turkmen minority abstained. Nearly all of these votes meant almost nothing. Basically, you cannot identify the general will of (parliament or) the people if some of the (mps or) public vote ‘no’, if they say only what they do not want. Furthermore, this is how Hitler got to power: he chose a minority – the Jews, gays, gypsies, any minority will do – and thus got a majority. Binary voting is the catalyst of populism. The dangers are huge, for if we say ‘no’ to everything, we will finish up with nothing. Some electoral systems are not much better. Trump. Choose a minority – Mexicans, immigrants, any minority will do – and anybody can win. Only because of the lousy electoral system. It’s not just the Electoral College, the American fptp is part of the problem, as is the blatantly two-party structure of us politics … a form of ‘democracy’ which George Washington called “a frightful despotism.” In effect, us elections are binary contests, it is Democrat or Republican, and for many voters, it is like an ‘x’ or ‘y’ majority vote? Some people vote ‘for’ something, but lots vote ‘against’ what they regard as the opposite. Britain’s first past the post (FPTP) is no better, and here too, its consequences are numerous. Indeed, if the uk had pr, there might not have been a Brexit referendum at all! Secondly, if Britain was not so mesmerised by what Sir Michael Dummett called “the mystique of the majority,” the uk would not now be in the ridiculous position whereby a tiny rump party of extremists, the dup, is in government, while other much larger parties are not! Thirdly, if the uk did have pr, the dup would be even tinier. Brexit is a multi-option choice. The fact that binary voting cannot best cope with a multi-option problem was first noted in ce 105 by Pliny the Younger, and preferential voting was first mooted in 1199 by Ramón Llull. For some reason, however, while Britain and many other countries believe in majority rule – which is quite right – people often assume that a majority opinion can be identified in a majority vote – which, when the question is multi-optional, can be quite wrong. Majority voting is primitive, divisive, ancient and, in many instances, hopelessly inaccurate. If the problem is multi-optional, the question should be multi-optional, and the ballot paper should be a (short) list, usually of about 4 – 6 options. With a multi-option problem like Brexit, we all have opinions, we all have preferences. So how best can it be resolved? Take, for example, 14 persons – (mps or) voters – with 1st, 2nd, 3rd and 4th preferences on four options – A, B, C and D – as shown. On the face of it, option A appears to be very divisive; opinions on D are also split; C is a bit better; but maybe B, the 1st or 2nd preference of 11 voters, best represents the collective will, so the correct social ranking is perhaps B-C-D-A. But what happens in practice? Let us assume that, in any “option ‘x’, yes-or-no?” type of majority vote, people vote ‘yes’ for their 1st preference and otherwise they vote ‘no’; and that in any “option ‘x’ or ‘y’?” type of ballot, they vote for whichever they prefer. So, when it’s “A, yes-or-no?” a majority of 9 say ‘no’. B loses by a majority of 12, C by 11, and D by 10. So there’s a majority against everything – which is probably today’s situation in the Commons on Brexit, and maybe too amongst the electorate. With the other “option ‘x’ or ‘y’?” type of binary question, A is more popular than B by 8:6; B is more popular than C by 11:3; C is more popular than D by 10:4; and D is more popular than A by 9:5. So A > B > C > D > A > B > …………… and it goes round and round for ever – the ‘paradox of [binary] voting’, as it is called; no matter what the outcome, there is always a majority who would want something else. The conclusion is clear: majority voting is inadequate, maybe it produces no answer, or maybe it produces the wrong answer. So would a multi-option vote be better? Majority voting is inadequate, maybe it produces no answer, or maybe it produces the wrong answer... would a multi-option vote be better? Well, in plurality voting (which is like an fptp election) the social choice is A, with a score of 5, and the social ranking is A-D-C-B, 5-4-3-2. In a two-round system, trs, (as in French elections), which Professor Vernon Bogdanor has spoken of, if no one option gets a majority in the first round plurality vote, there is a second round majority vote between the two leading options – in our example, A on 5 and D on 4 – which D then wins in a social ranking of D-A, 9-5. An alternative vote (the Australian electoral system), as proposed by Justine Greening MP, is a series of plurality votes, with the least popular option eliminated and its votes transferred as its voters would have wished, until one option gets a majority. So, in our example, the score is A 5, D 4, C 3, B 2; so option B is out and its 2 votes go to C for a score of A 5, C 5, D 4; so that’s the end of D, and its 4 votes go (not to B which has been eliminated but) 1 to A and 3 to C, for a final score of A 6, C 8, so the winner is now C in a social ranking of C-A, 8-6. Lastly, in a preferential points system – in this example, a 1st preference gets 4 points, a 2nd gets 3, a 3rd 2 and a 4th gets 1 point – option A gets 20 + 0 + 8 + 5 = 33; B gets 8 + 27 + 0 + 3 = 38; C gets 12 + 6 + 16 + 1 = 35; and D gets 16 + 9 + 4 + 5 = 34. So the social choice is now B, and the social ranking, 38-35-34-30, is B-C-D-A, which is what we assumed was the best expression of the general will. So maybe the most accurate methodology is this preferential points system, the Modified Borda Count, MBC, as it is called. It is interesting to note that the mbc social ranking, B-C-D-A, is the exact opposite of the plurality vote, fptp, social ranking A-D-C-B. In other words, FPTP can sometimes be wrong and occasionally could not be more wrong. It is useless. This semi-binary electoral system should not be used as a means of resolving the Brexit problem. And nor should a binary referendum. Maybe some pluralism could help. The world’s first multi-option referendum was in New Zealand in 1894. They did it again in 1992. In 1990, very few New Zealanders knew what AMS and MMP were (see below). But an independent commission was tasked to examine their electoral system. People wrote submissions, the commission held meetings, the press published articles, the tv conducted interviews, and by the time the electorate was presented with a referendum with five options on the ballot paper – FPTP, AMS, AV, MMP and PR-STV – lots of New Zealanders had made up their minds as to which system they wanted. In 1992 and ’93, they voted in a TRS system, and they chose MMP, mixed member proportional, the German system. In effect, the New Zealand electorate could vote ‘yes’ for whatever they wanted, and maybe nobody voted ‘no’ to anything. When everybody says what they want, it should indeed be possible to see which option is the most popular. - those who cast all four preferences give their favourite 4 points (their 2nd choice 3, their 3rd 2 and their 4th preference 1 point). The difference is always 1 point. A voter’s xth preference, if cast, gets 1 point more than his (x+1)th preference, regardless of whether or not he has cast that (x+1)th preference. In effect, the voter is thus encouraged to cast a full ballot. What’s more, the protagonist will want, not only her supporters to cast full ballots, but also her erstwhile (majoritarian) opponents to give her particular option at least a 3rd if not a 2nd preference. In other words, the campaign which precedes the vote will be much more nuanced. People will have a reason for listening to each other and engaging in debate. At best, the outcome will be the option with the highest average preference, and an average, of course, involves every one who votes, not just a majority of them. The mbc is cohesive, robust, and most importantly, accurate. If politicians really wanted to bring the country together (again), they would use just such a inclusive voting procedure, either in parliament and/or in any future multi-option referendum. Politics, they say, is the art of compromise; the MBC is its science. His farewell address of 1796. Principles of Electoral Reform, 1997, OUP, p 71. Vernon Bogdanor: A second Brexit referendum? Justine Greening: Give the British people the final decision on Brexit. Gina Miller has also asked for a multi-option ballot, (Today, 21.9.2018).